Took 4 Granite in LaGrange, GA. is a service oriented company that is Family owned and operated. “Doing business by the golden rule” is what we believe! 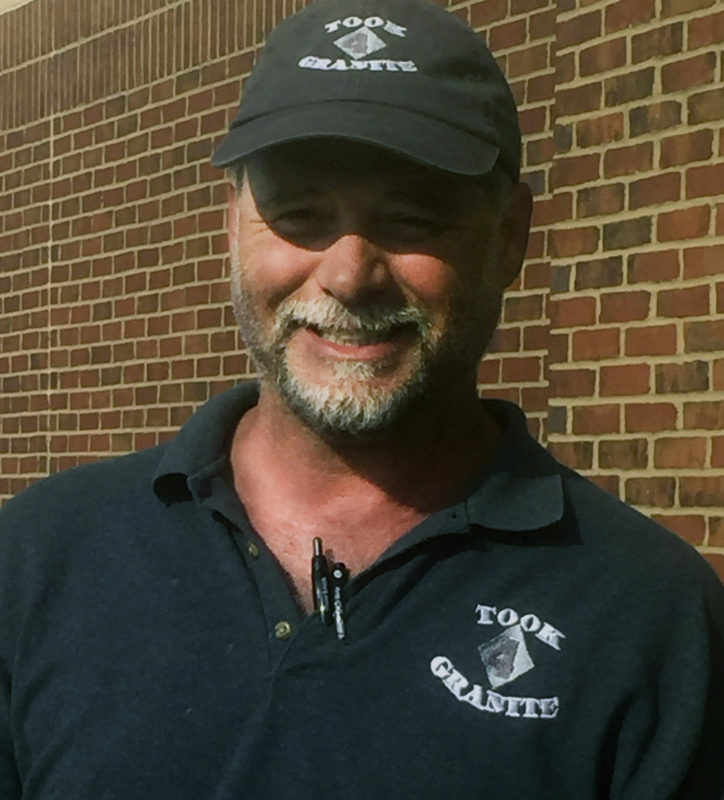 Owner, Mike Jenkins, has over 33 years experience in customizing, fabricating, and installing natural stone. Mike’s work has been featured in Southern Views Magazine and Guns and Gardens Magazine . Our focal point is using only the finest stones available. Mike has an artistic eye and a passion for rock. With this love of granite and stone work, he has developed a passion for sculpting. The mediums he uses are marble, granite, limestone, as well as other natural stones. Mike and his team are inspired by life events or experiences, using the characteristics of stone to inspire….. You MUST visit his art gallery. By choosing Took 4 Granite for your project, you will have a custom, unique design. It will turn your home into a relaxing retreat you will be proud of. Our attention is directed to detail and quality craftsmanship. •Our great reputation has been earned by providing exceptional service. •We work with Builders, Designers, and Home Owners to provide our Customers with top quality materials and dependable service. •We work with ALL NATURAL STONE and QUARTZ surfaces. I want to Thank those a your company that had a hand in the outstanding and beautiful repair of my damaged marble and bronze “Napoleon” ink well. It is truly a work well-done and I am very impressed with the results you were able to obtain, which is nothing less than perfect. We feel it very important to let you know how very happy we are with our experience with Took 4 Granite. From beginning to end, we couldn’t be more pleased. Although, we know your schedule is very busy we felt as though we were your only customer. When we visited your shop and spent sooo much time trying to decide which stone we wanted, all the guys were very patient and truly interested in helping us. We are “Very Satisfied” with the total experience and truly will recommend you to anyone in the market for stone work. Great Job!!! Thank You.